Akbar, Yesudas and five Karthyayanis. It looks like a roll of honour, listing an emperor, a musician and five goddesses with the same name. Each of the five Karthyayanis is identified with a nick name like Kuruvi or Karthu. There are more interesting names in that list, like Kunjippennu and Swamy Santhoshaseelan. It is the list of inmates at the Govt. 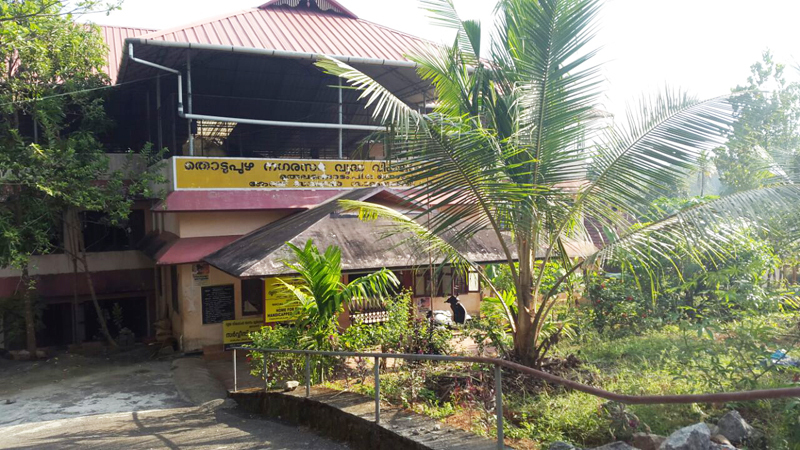 Old Age Home at Muthalakkodam, near Thodupuzha, where we are having a medical diagnostic camp on Sunday, 19th April. There are 75 of them, some bearing interesting names; and almost all of them bearing with neglect, loneliness and helplessness. Many suffer from ailments, ranging from paraplegia to psychiatric disorders. But all of them show a steely resolve to trudge along with life. Binoy, at 39 is a misnomer for an old age home inmate. But he is a quadriplegic and the most helpless. There are eight psychiatric, one haemophiliac and ten cardiac cases. Then there are those with old age ailments like hypertension, sugar, cholesterol and arthritis. Interestingly, Suppu Mathai (96), Madhavi (91), Raman (91) and Joseph (90), all above 90, have no complaints. Seventeen doctors will examine each of the 75 inmates to ascertain the seriousness of known ailments and diagnose anything new. All these doctors are old boys of Sainik School, Kazhakkoottam. We are also expecting some local doctors. We will have specialists in cardiology, dermatology, ENT, psychiatry, gynaecology, urology, general medicine, dentistry and a few more areas. The doctors will also try out tele-medicine. They will be supported by other old students of Sainik School. Why did we choose the old age home at Muthalakkodam, of all the places? Because, we have our Mary Miss, living nearby ! Mrs. Mary Thomas, our Mary Miss, was the biology teacher at Sainik School, for some thirty five years. She was an inspiration to many boys to pursue life sciences and land a career in medicine. 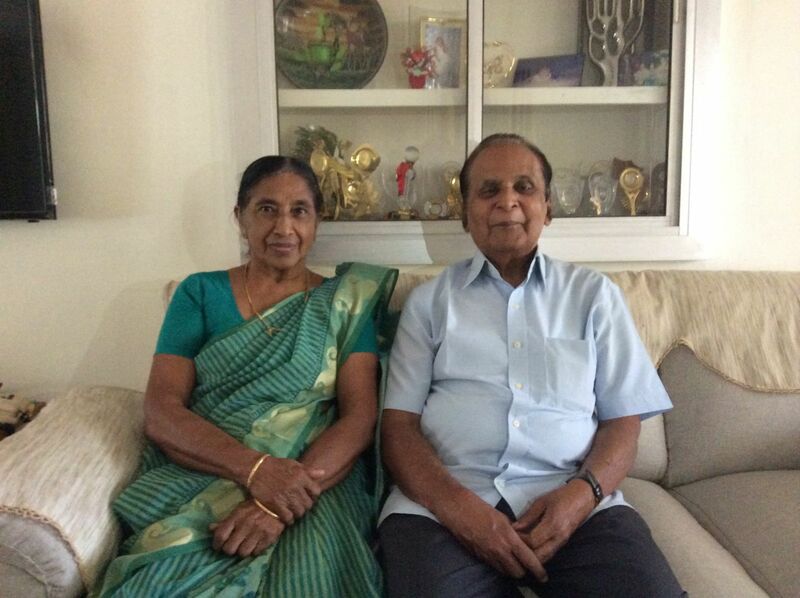 Mr. NG Thomas, her husband was also a master at Sainik School, much admired for his history lessons and mentoring abilities. 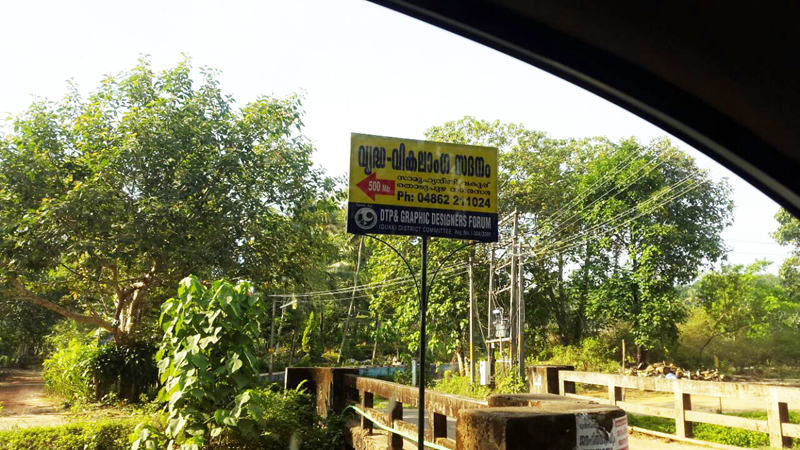 The couple, retired for many years, stay at Thodupuzha, very close to the old age home. 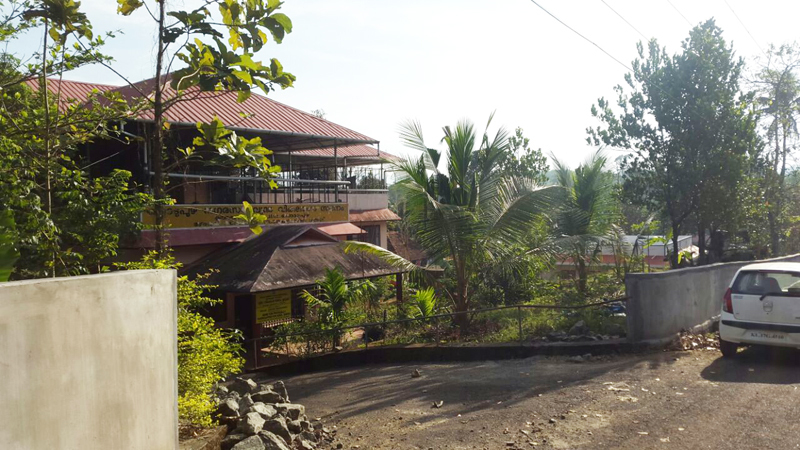 Mary Miss will inaugurate the medical camp and Mr. Thomas will sponsor lunch for the inmates. We also have an entertainment programme for them, with a surprise package. The camp will commence at 9.30 AM and conclude by 2.30 PM, after lunch. Please come over, and be a part of the Sainik School gathering with a social cause. We also extend a warm invitation to boys who are now studying at the school, on summer vacation, in nearby areas. 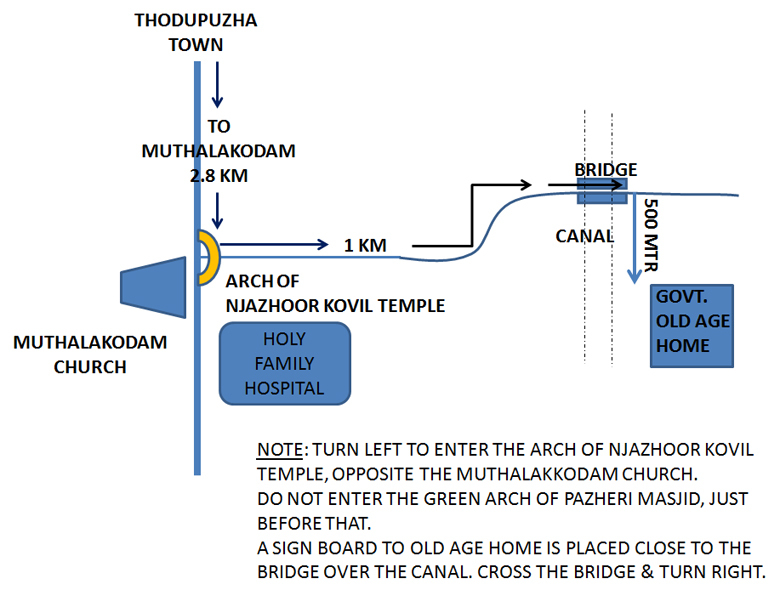 Route map to the old age home is attached. Please call me on 8589922215 or 9619322215 to confirm your attendance.